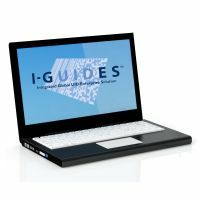 I-GUIDES® is an end-to-end data management software solution helping organizations maximize their UID return on investment through reduced material management costs, improved data quality and increased asset visibility. UID (Unique IDentification) is the process of marking an item with a globally unique identifier. This enables item life cycle management by supporting multi-faceted business applications, facilitating asset visibility, enabling hyper-managed recall and automating clean financial audits. The Integrated Global UID Enterprise Solution (I-GUIDES®) for DoD is tailored to the Unique Identification (UID) requirement mandated by the Department of Defense (DoD) in its policy statement released July 29, 2003, and effective on all solicitations issued on or after January 1, 2004. I-GUIDES for DoD was responsible for sending the first IUID to the DoD-IUID registry and has not looked back since. Our customers range from small business to some of the largest contractors in the world. I-GUIDES® for Asset Management can be configured to accommodate any industry. It leverages the same platform as it's battle hardened big brother, the DoD version. It is, essentially, an item-level registry in a highly accessible, web-based, flexible and secure platform. I-Guides for Asset Mangement helps your company capitalize on the same basic principle that the automobile industry implemented with the VIN number or what the retail industry acheived with the UPC. We take it a step further and incorporate advanced Auto-ID techniques, including 2 dimensional barcodes and RFID. The I-GUIDES® Enterprise Asset Management solution is helping organizations maximize their return on investment through reduced material management costs, improved data quality and increased asset visibility. 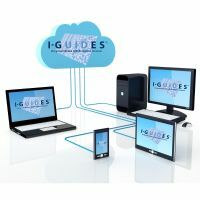 I-GUIDES® Cloud Software as a Service (SaaS) - Our infrastructure, no installation, no fuss. I-GUIDES® PC Economical client side UID compliance solution for small business. 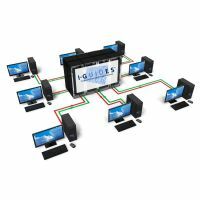 I-GUIDES® Enterprise Client network resident, highly scalable and customizable IUID compliance system.